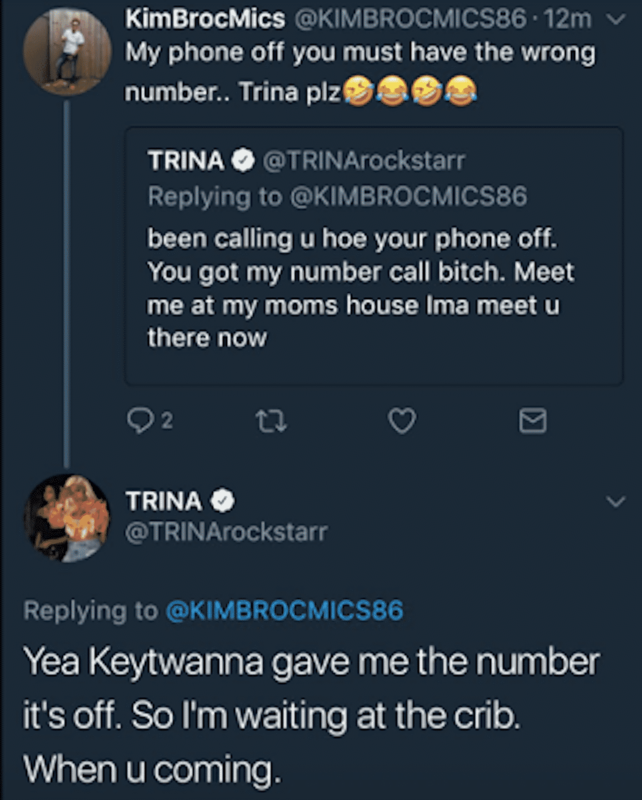 Trina's Beefin' With Her Lesbian Lover?! Trina’s Beefin’ With Her Lesbian Lover?! Trina went on Instagram live and called out “bum a** women.” But come to find out, the woman she was talking about just might be her former lesbian lover. 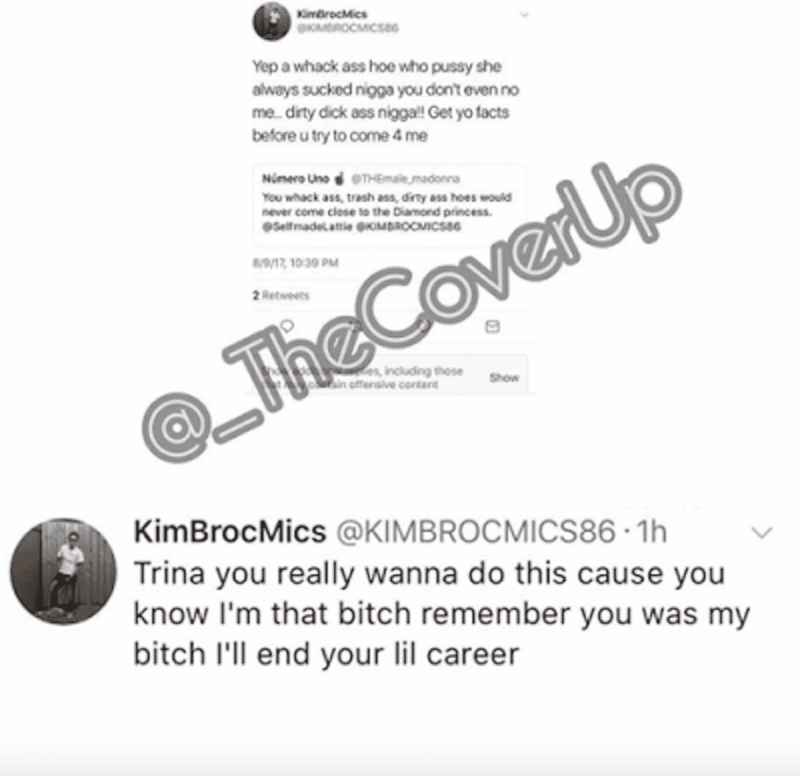 KimBroMics apparently had a fling with the rapper, but things have since gone bad. BTW, that’s NOT KimBroMics in the pic above. It’s a photo of Trina getting cozy with known bisexual freak, Erica Mena. It’s funny that you black women always have a gay male friend tryin to outfeminize you. He shoulda kept his trap shut lol. Yall black women are the biggest sponsers of homosexuality; yall are also the gayest. Trina too old for this crap.